In 1823, President James Monroe issued his famous doctrine forbidding imperial powers foreign to the Western Hemisphere from acquiring territories in Latin America or seeking undue influence. This decisive edict became the cornerstone of American foreign policy and grand strategy. As John Lewis Gaddis outlined in his fantastic 2004 book, Surprise, Security, and the American Experience, the inspiration for the Monroe Doctrine was born out of the experiences the early United States had endured along what was then the frontier (threats from the American Indians and Spanish in Florida and in the untamed West, as well as the continuing threat posed by British-controlled Canada). After then-general Andrew Jackson had successfully invaded Florida and (illegally) annexed it away from nominal Spanish control, the Monroe administration recognized the value in moving the frontier of the United States as far away from the original 13 states as possible. At the time that the Monroe Doctrine was announced, the British Empire was not the only imperial colonizer looking for new territory. The United States was a young and small nation. Policymakers in Washington understood that if they could keep as many threats over the horizon as possible, the United States would have the ability to secure its national core (the original 13 states). American leaders also realized that without significant regional threat, the United States could expand across the North American continent, thereby becoming an even greater power than anything in Europe. However, this could not come about if the United States was constantly encircled by more powerful rivals from afar. For about 200 years, the precepts of the Monroe Doctrine have been enforced. Latin America has steadily become a zone of exclusive American influence. In fact, the Monroe Doctrine is so important that the United States risked all-out nuclear war with the Soviet Union in October 1961, when it was discovered that the Soviet Union was intent on deploying nuclear-tipped intermediate-range ballistic missiles (IRBMs) to Cuba. After all that, the United States today is losing its hegemonic position in Latin America. Currently, China has made significant economic inroads in America’s backyard. Whereas in the year 2000, trade between China and Latin America was a meager $12 billion, by 2017, it was $280 billion – and rising. (According to the U.S. trade representative, as of 2016, trade between the United States and Latin America is about $1.3 trillion, though this is declining.) In fact, Chinese credit (for energy and infrastructure programs) outstrips that of the U.S.-backed World Bank and the Inter-American Development Bank combined. 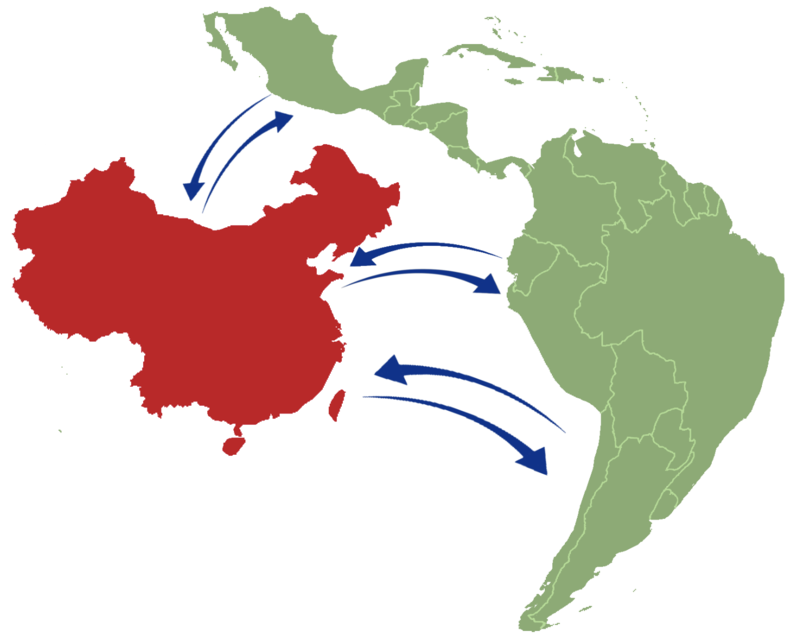 From this economic position in Latin America, China is also enhancing “its political influence” across Latin America. Much like its policies toward Africa, Chinese economic policies are enhancing China’s standing in Latin America not because they come with strings attached. Instead, China’s preferred policy of trade rather than aid with Latin America is giving Beijing significant advantages over the United States. Between the natural resources and its geographical location at the underside of the United States’ vulnerable southern border, Latin America is a tempting target for U.S. rivals. Not only is China moving in on the opening that Washington has created through years of minimizing the importance of Latin America to U.S. foreign policy, but so too are the Russians and even the Iranians. This is to say nothing of the threats posed by collapsing Venezuela and communist Cuba. Meanwhile, Mexico and Brazil – the two largest and most important states in Latin America – increasingly lurch to the left. As both Brazil and Mexico become havens for the socialists, so does all of Latin America. And, as Venezuela, Cuba, and Nicaragua have proven over the decades, the more leftist Latin America becomes, the greater the threat to the United States. The United States’ earliest leaders recognized the importance of preserving U.S. hegemony over Latin America. Since the 2000s, that position is slowly evaporating. In its place is a new form of anti-American leftism. Undergirding this have been developments in which China is now a major benefactor for most of Latin America and in which the illicit narcotics networks have become key drivers of instability for the region – to say nothing of the threat posed by unfettered migration into the United States, thanks to the tenuous political situation throughout Latin America. The more Latin America swings to the left, the more political instability will arise. As that occurs, the drug wars will intensify, and calls for greater foreign intervention from Beijing, Moscow, and Tehran will become deafening. Washington must start paying more attention to these developments. Further, the Trump administration must actually increase both its commitment to greater border security and the physical construction of a comprehensive wall for the southwestern border. Then the Trump administration should intensify its military and law enforcement cooperation with Mexican, Colombian, and other forces in the region in helping to combat the ongoing regional drug war. The United States cannot ignore Latin America any longer. It is the only part of the world that shares a direct land border with the United States, and, as Admiral Kurt W. Tidd, commander of U.S. Southern Command, stated in 2017, the routes leading into the United States are dangerously undefended. Since taking command, Admiral Tidd has repeatedly requested greater resources for the often ignored but vitally important Southern Command. His requests should be taken more seriously. What’s more, no one in the United States should feel comfortable about China, Russia, or Iran having as much influence over our southern neighbors as they presently do. For that matter, Americans should be concerned that the European Union is also gaining more influence over the region relative to the United States. Washington cannot abandon Latin America. After all, the problems that afflict Latin America will inevitably ripple upward to the United States, causing grave political and economic dislocations. They already are. Imagine what happens if the United States retreats completely from the region and cedes its influence to rivals like China, Russia, and Iran – or Cuba, for that matter. The Monroe Doctrine is a foundational tenet of U.S. foreign policy. It has survived for two centuries because the doctrine is one of common sense. It’s time to reinforce the Monroe Doctrine and take seriously the notion of being a good neighbor to Latin America. For more great content check out the American Thinker website!